This one will be short. Just wanted to share the awesome panorama view of IIM Indore Academic Block as taken by Rakesh T (PGP2, IIM I). Click here for the view and enjoy !! 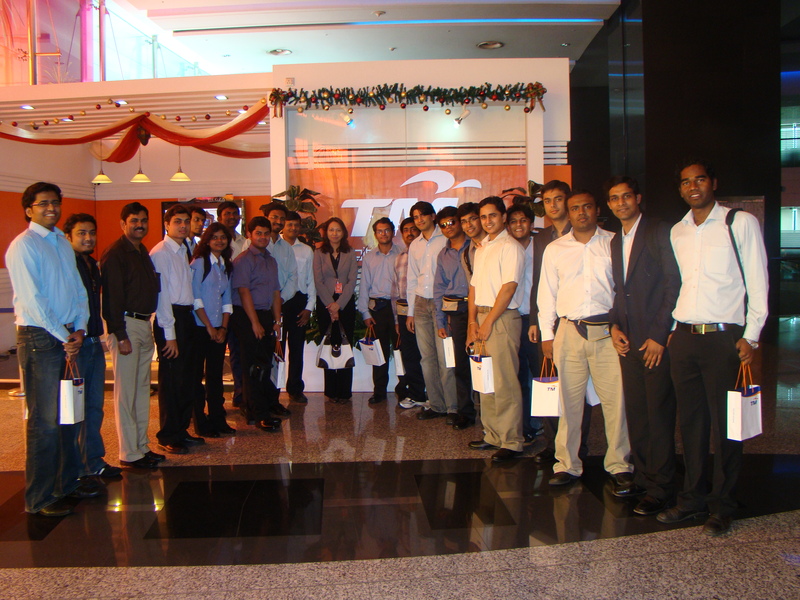 18th December and it’s the last day of the visits with only the Guest Talks remaining on 21st, we were all set for Telekom Malaysia. Having already visited Maxis, this gave us an opportunity to visit a government entity thereby comparing the strategies of two major players of Telecom Sector. 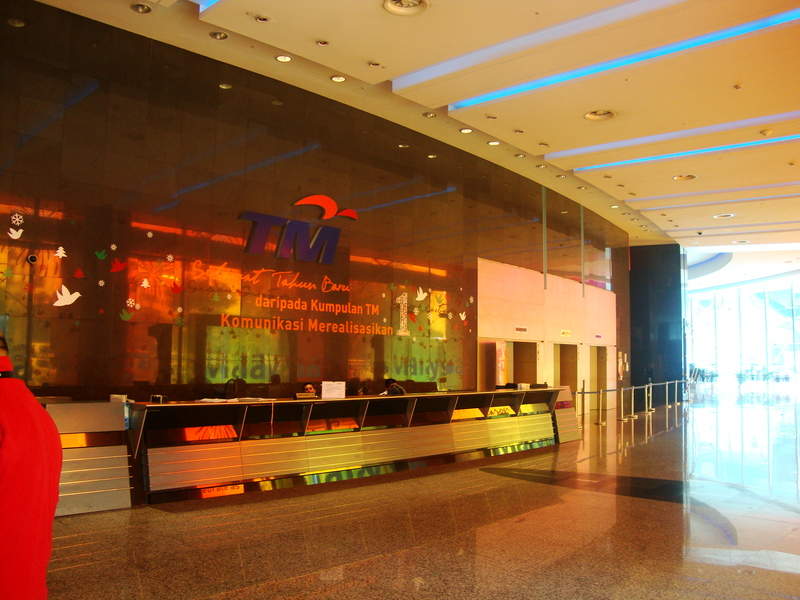 Telekom Malaysia is the largest telecommunication company in Malaysia. It has a monopoly on the fixed line network and has a considerable market share of the mobile communications market after its acquisition of Celcom and merging with its mobile operation arm, TMTouch. TM has an internet service provider subsidiary (TM Net) offering narrowband and broadband connectivity. Broadband connectivity is through DSL under TM Net’s Streamyx brand. Due to its near monopoly of the last mile connections, TM Net is now the sole DSL broadband provider in the country. 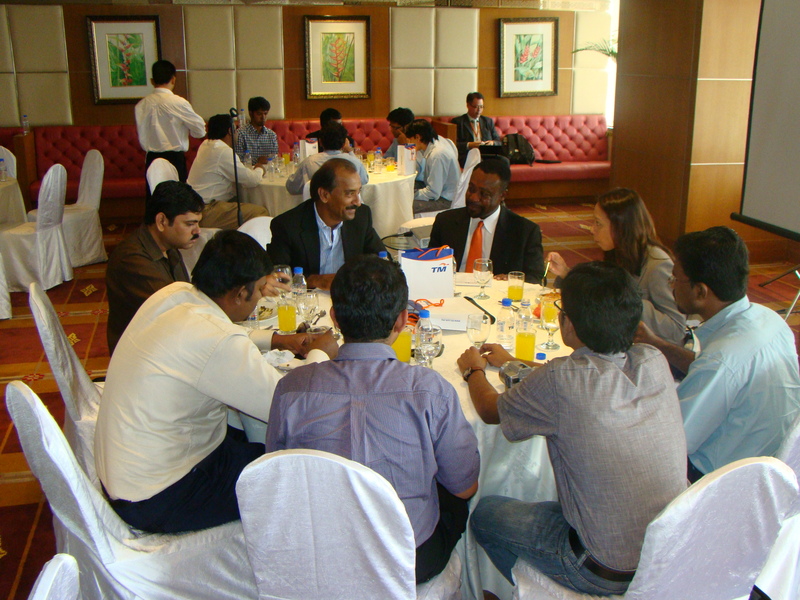 The visit began in an awesome professional style round table arrangement corporate presentation. The best thing about the presentation was the passion with which the speaker was delivering and providing us insights into the operations of Telekom Malaysia. The presentation moved to discussion mode with questions on regulatory issues and difficulties in Malaysia vis-à-vis India, the 3G services and acceptability of such services in Malaysia. There was more discussion on how despite being a government entity, Telekom Malaysia was able to give a strong competition to private players and how monopoly of Telekom Malaysia on certain services enabled it to compete. The insightful presentation was followed by a superb lunch where it was taken care that Indian Food is provided which was a pleasant sight. This was followed by a visit to a simulated “Digital Home” set up by Telekom Malaysia to show its users how high speed internet can be used to change the way of life for good. The experience was really wonderful and gave a lot of learning into the telecom sector and how the sector can contribute massively to an economy. It certainly was a Sweet November..!! The significance of January 5th 2010 was not evident until the realization dawned on me that my FRM Exam Results are going to come out today. The tension mounted for a moment but then soothed out after remembering the month of November 2009. I felt confident about the efforts I had put in and the fact that results would be out when I am asleep, made me stop worrying about it. November 2009 was indeed one challenging and eventful month for me. I had decided on giving my FRM Exam in August, so I was way behind people who already had put in 3-4 months of preparation for the exam. That was evident when I visited Pagalguy for getting some gyan on FRM, and I saw people sharing their experience of reading the 3rd module. I sure was way behind but somehow I felt I can do it. Moreover, it was the last time GARP was going to conduct Full FRM Exam, so it was all the more essential to grab the opportunity. 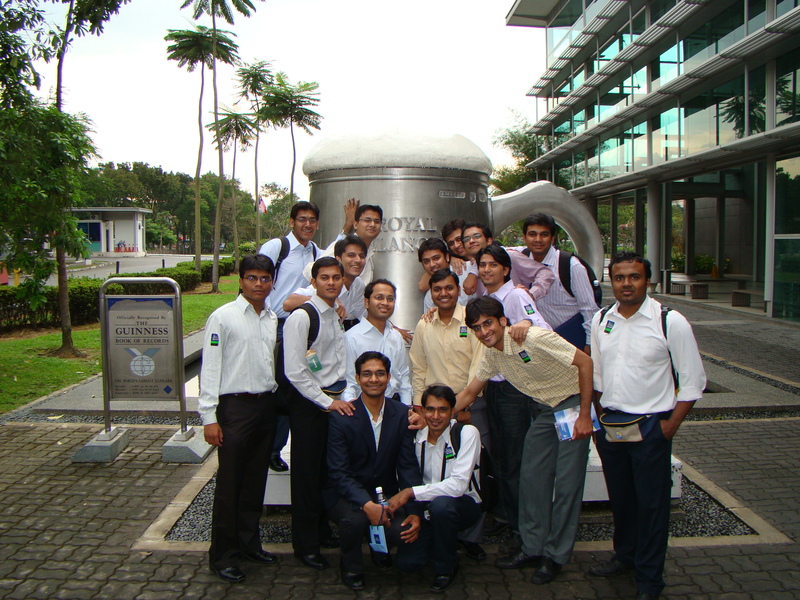 As it happened, my plan and schedule for the prep was going excellent until October end when the MBA exams came up. By start of November, I was lacking big time. Another craze that I had developed in me was to participate in competitions in 2nd year. If you are doing MBA you will know that all major competitions come in the month of November. 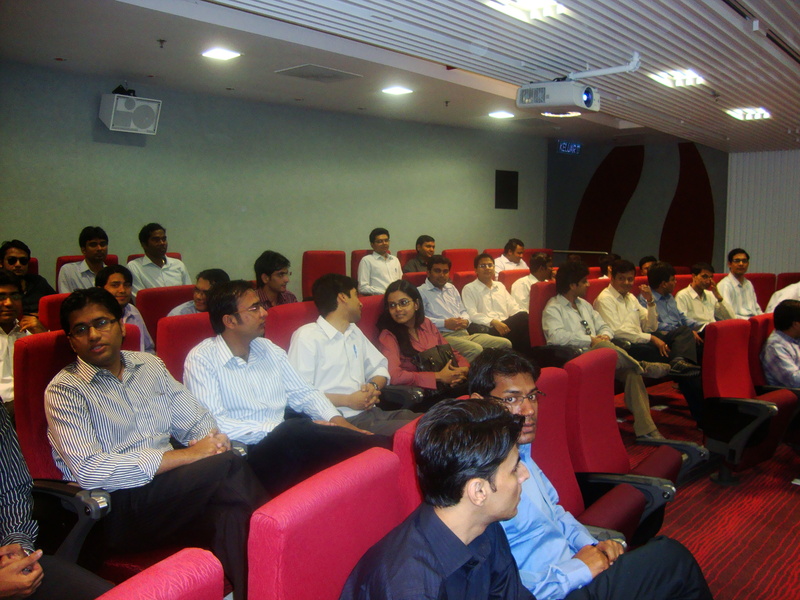 I was participating in many but the cherry was the Cognizant Board Room Contest. I and Viren were participating and we made it into the first round. I decided to cut myself from every other thing and now focus on two things: The FRM Exam and Board Room Contest. Both were on high priority and at time it was to decide who to give higher priority.Hard work paid off and level by level (report submissions, video conference presentations) we made it to the finals of the competition. The bouncer for the month was the dates of the two things. 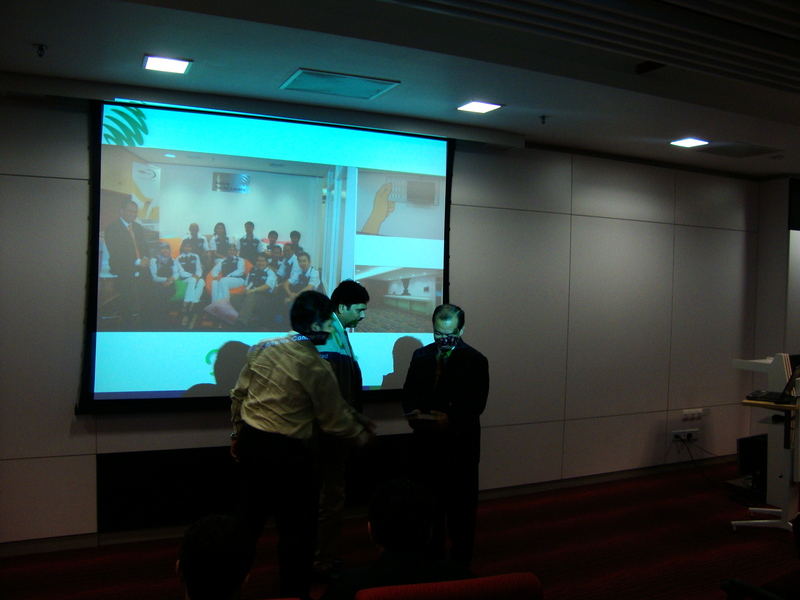 17th November I managed to finish off my FRM reading once and 18th went fully into the competition planning and PPT. I planned a schedule to leave Indore 19th evening, reach Chennai(the venue) by 19th evening (there isn’t a direct flight to Chennai), do the presentation on 20th morning, leave for Delhi (my exam site) on 20th evening and appear for exam on 21st Morning !!! Believe me, it felt extremely difficult if not impossible to be of sound mind after so much stuff in just two days. 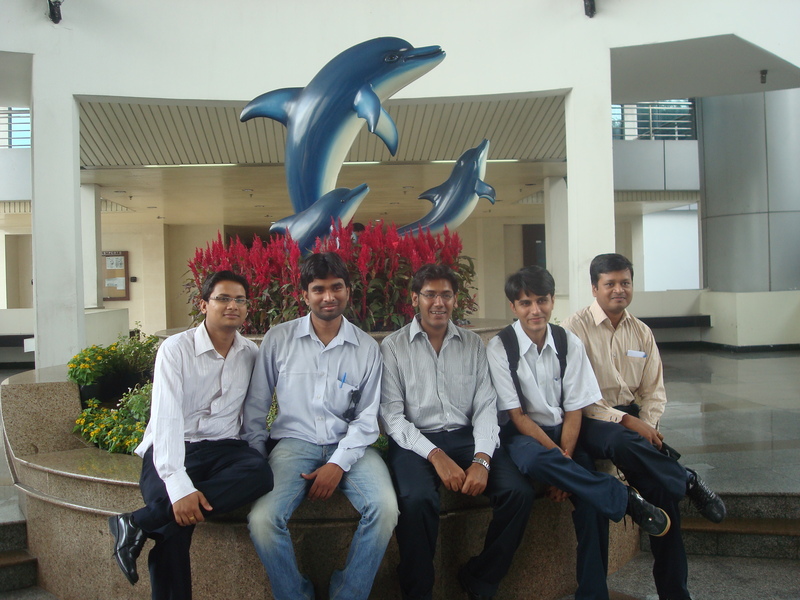 Finally the 2 day events started with our flight journey and we landed at Chennai Office of Cognizant on 2oth morning. It was a awesome experience being in the Finals. We met with the other teams, the judges and some of our IIM I alumni. Being in the finals of such a huge competition and the hard work we had done for it made the experience worth capturing. We started our presentation with confidence and we did pretty well. However, as it turned out, the judges found other ideas to be better and we didn’t made it to the winning zone. A disappointment definitely, but certainly not the end of the world. The next thing on mind was my flight to Delhi and FRM Exam where certainly I don’t want to fail. Luckily I reached Delhi in time and after a good night sleep I reached my exam venue. Hassle-free venue and a really cute invigilator (she was a MBA student of that college itself [:p]) made the day and my exam went smoothly. Well, after the sweet November, here I am. Just checked my FRM Results. I MADE IT !!! I PASSED FULL FRM EXAM !!! 17th December, another beautiful morning and we gather up in front of bus after a not so good (for vegetarians) breakfast. The next visit is to Proton. 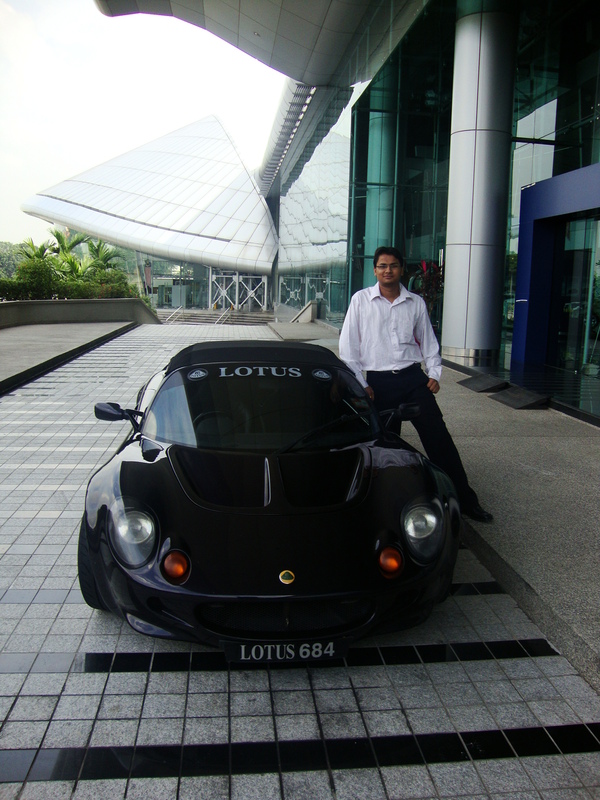 Car fans among us got really excited at the prospects of getting to see magnificent cars like Lotus in real. Some even thought of a test ride [:p]. 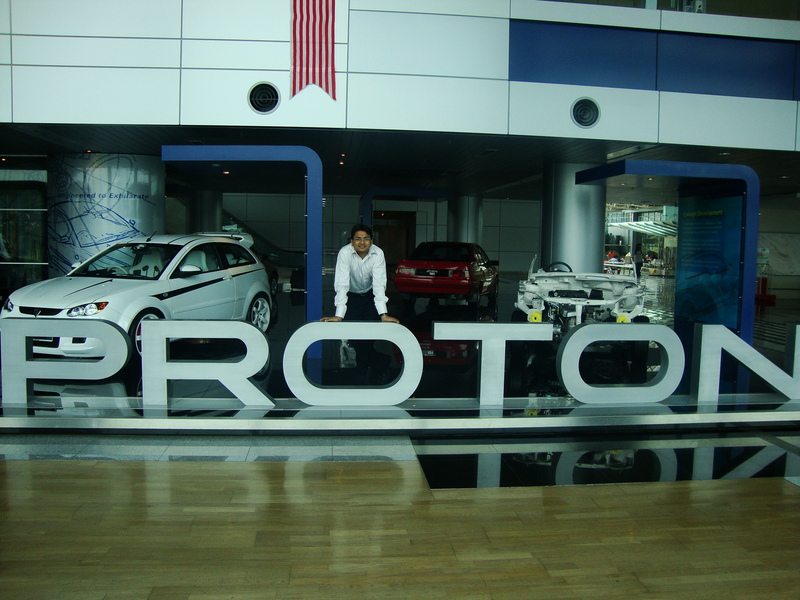 Proton is a Malaysian automobile manufacturer headquartered in Shah Alam, Selangor, with a manufacturing plant in Tanjung Malim, Perak. 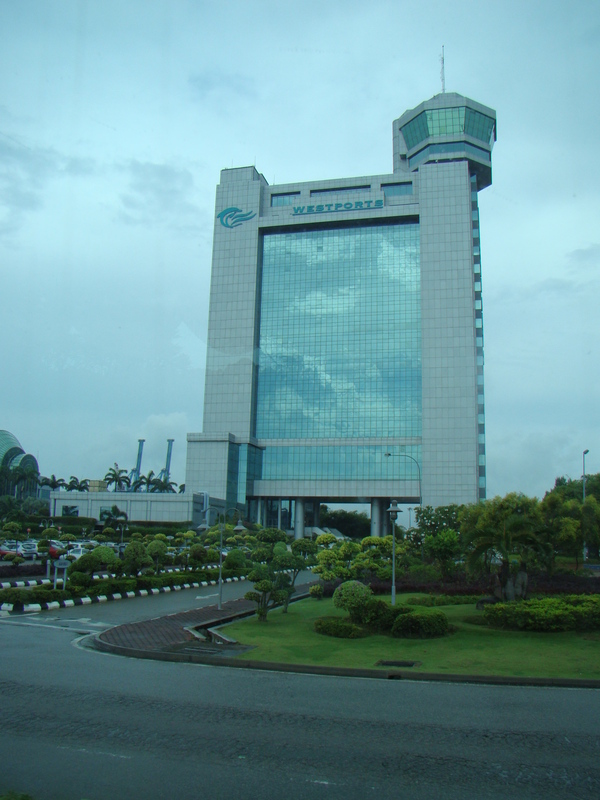 Founded in 1983, it was Malaysia’s only carmaker until the establishment of its competitor Perodua in 1993. 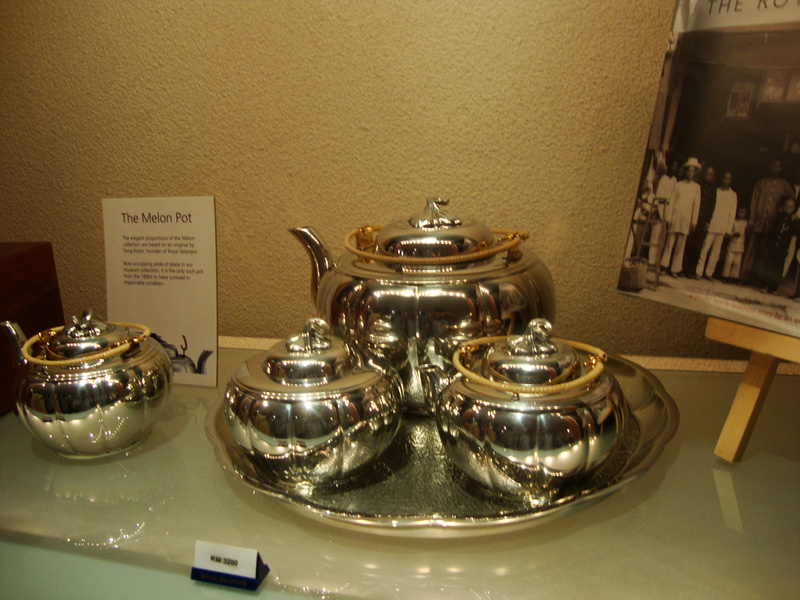 Its name is a Malay acronym for PeRusahaan OTOmobil Nasional. 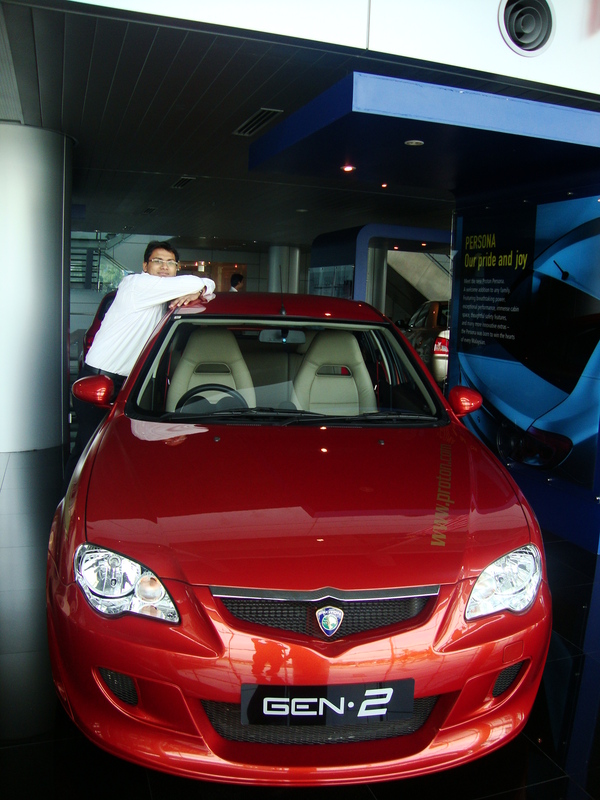 Proton exports cars to the United Kingdom, South Africa, and Australia and the company is aggressively marketing its cars in several other countries including the Middle East. 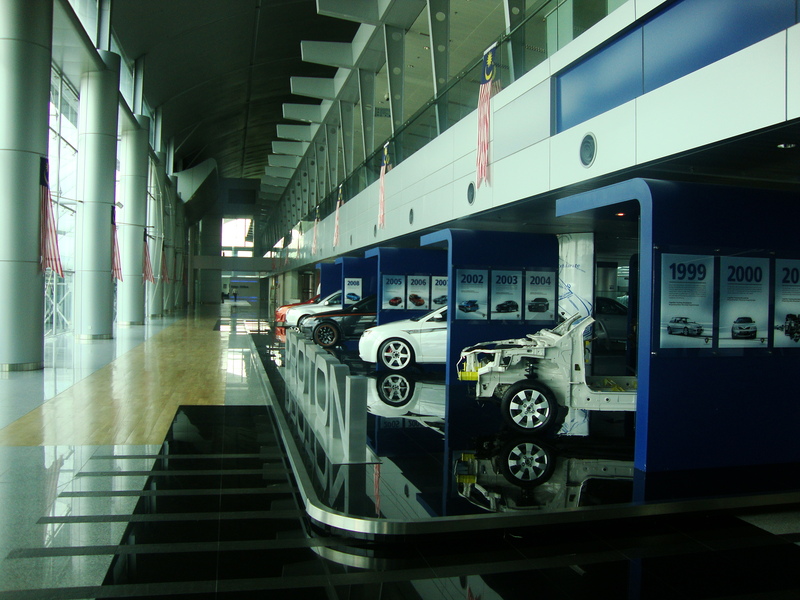 Besides that, Proton has also been exporting a small volume of cars to Singapore, Brunei, Indonesia, Nepal, Sri Lanka, Pakistan, Bangladesh, Taiwan, Cyprus and Mauritius. 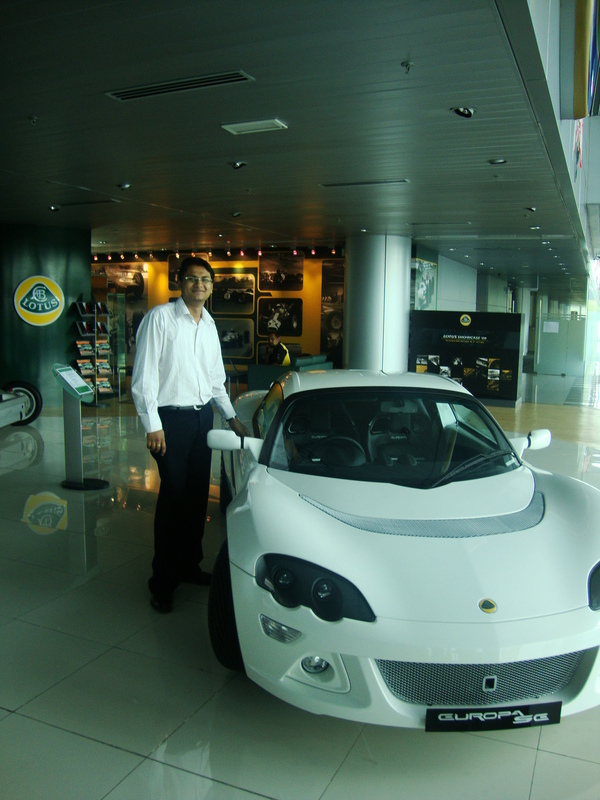 With the acquisition of Lotus technologies in 1996 from ACBN Holdings (a company owned by the owner of Bugatti), Proton has gained an additional source of engineering and automotive expertise. The visit started with a corporate presentation about the company which was extended to a visit to the manufacturing facility of Proton. The facility is a mix of automated and manual processes and many of us were of the feeling that it can be fully automated. We got to see the sequential implementation of the operations and the synchronization needed. The ultimate experience was the testing zone where cars were being tested for speed upto 200kmph, stress testing, high temperature and shower testing. 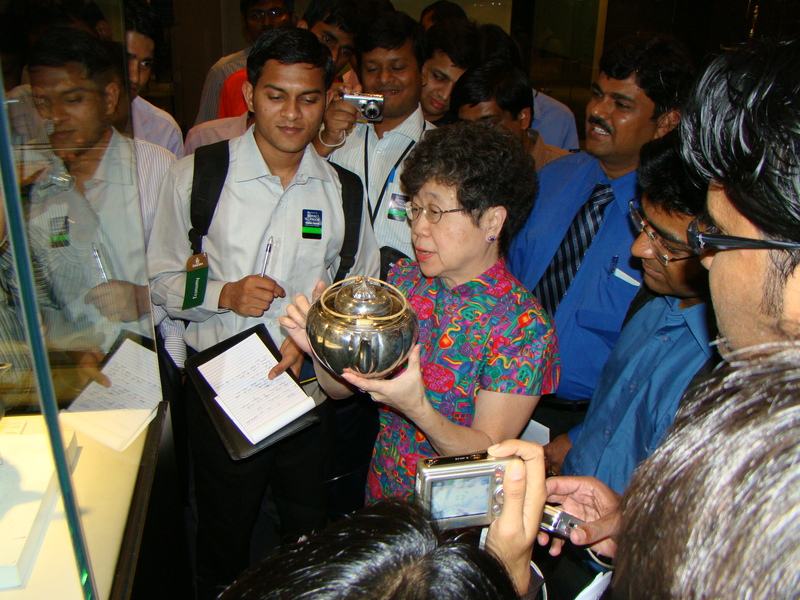 It was a useful experience with many of us visiting an automobile manufacturing facility for the first time. 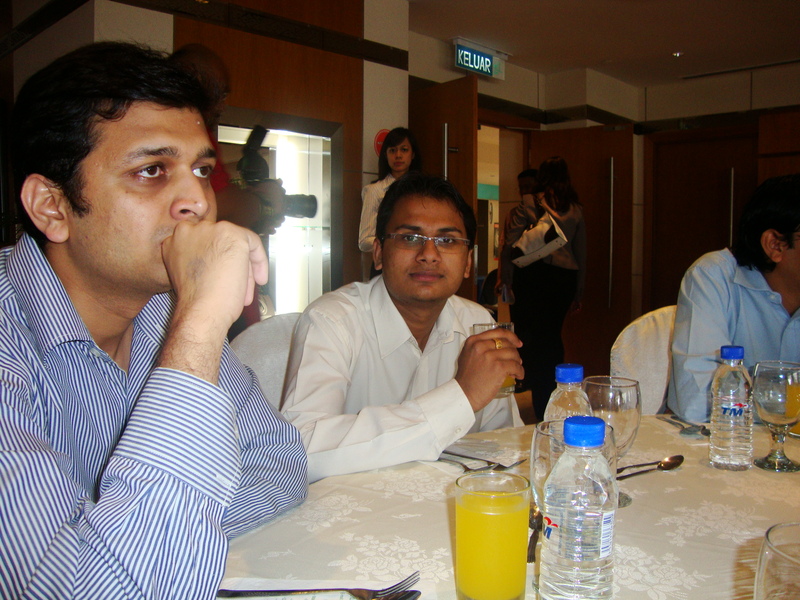 16th December, we boarded the bus after a heavy lunch at Maxis and moved towards ABB. 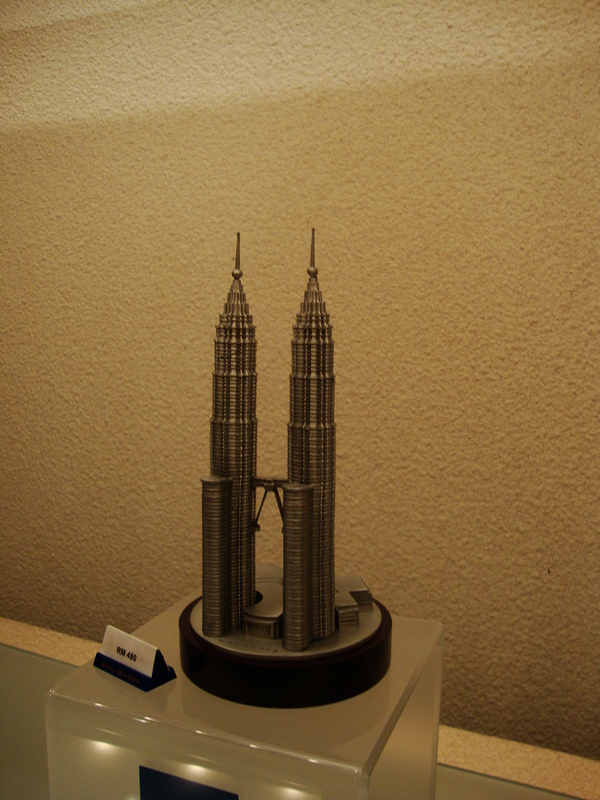 ABB’s history in Malaysia began when the first power generator was installed in 1904 by MFO Oerlikon. Today, most of ABB’s operations are consolidated under ABB Malaysia Sdn Bhd which was established in 1973, with its head-office based in Subang Jaya, Selangor.As a leader in the power and automation technologies that enable utility and industry customer to improve their performance while lowering their environmental impact, ABB integrates high technology products from Europe and the United States of America, with cost-efficient engineering and manufacturing capability in Malaysia. At the start we were given a safety brief regarding the visit to the shop floor which would happen later. After that, a short interactive session was taken by Ms. Nirmala Devi telling us about the importance of branding. The students were fortunate to be able to have a short interaction with one of their senior managers who brought to the notice of the students the importance of execution. 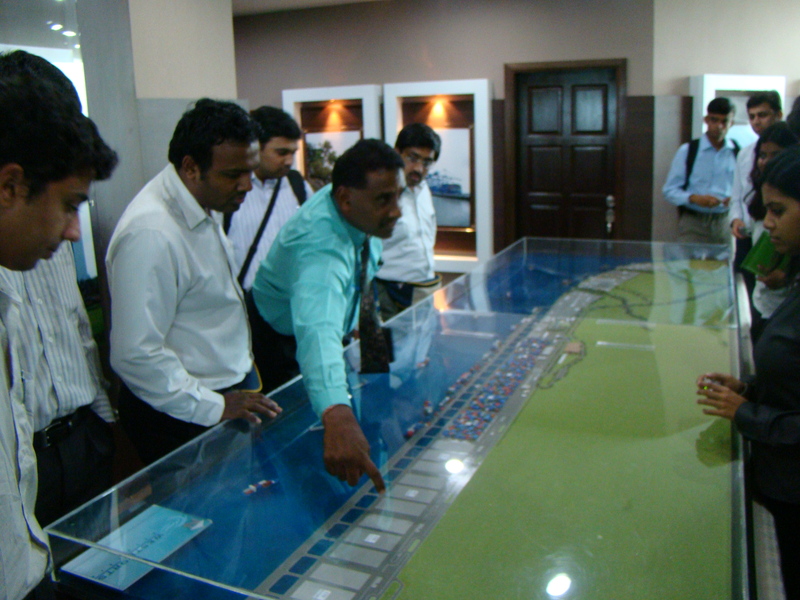 The shop floor visit showed the students the actual implementation of the 5 S models. 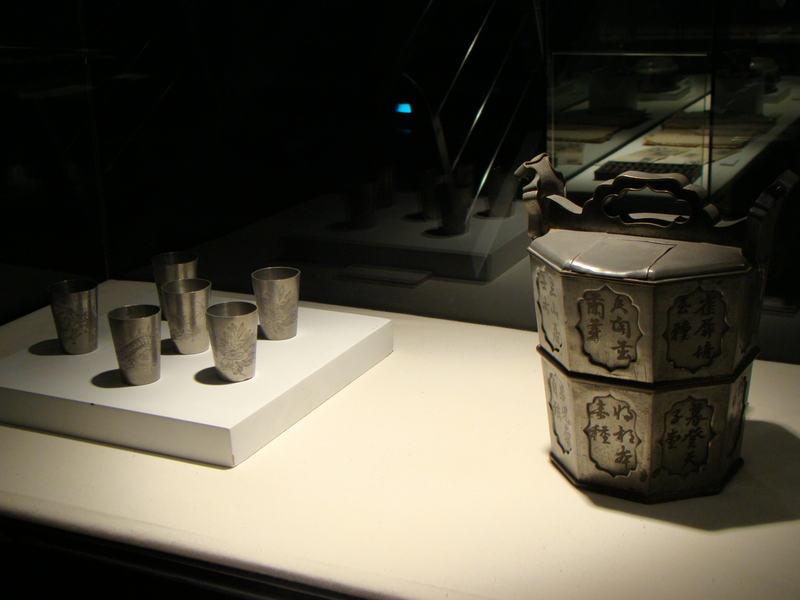 ABB has already implemented the Seiri, Seiton, Seiso, Seiketsu and Shitsuke. Kanban is also implemented at ABB and Kaizen is in the phase of implementation. It was a wonderful experience to know how a multinational company has sustained and established itself firmly into Malaysia. 16th December: Little sleep during the night (details of which to be told later 😉 ) left us wanting more time to sleep but it was time to quickly finish breakfast and start for the next visit – Maxis. Having visited Ports & Medical Industry players it was time for telecommunication and who else is better than Maxis commanding +30% market share and the industry leader. 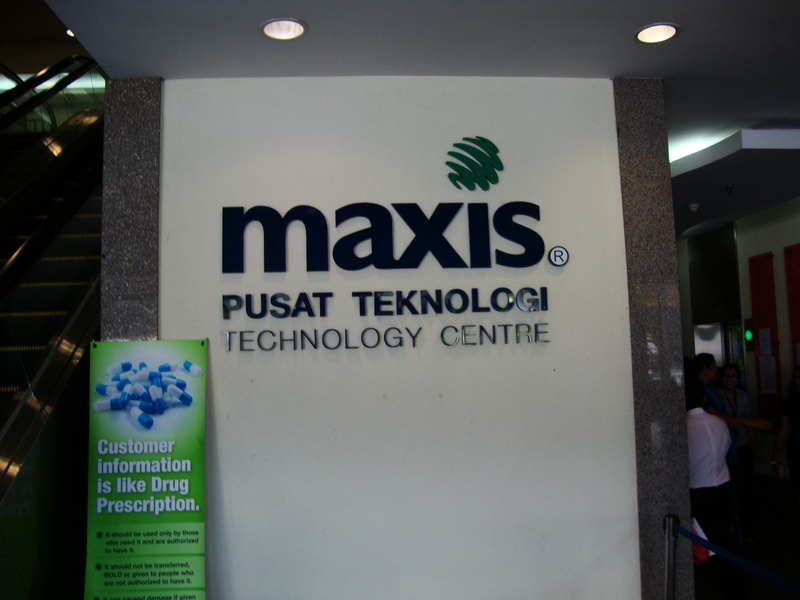 Maxis is the largest mobile operator in the highly consolidated Malaysian mobile telecom market consists of 3 major players: Maxis, DiGi and Celcom. 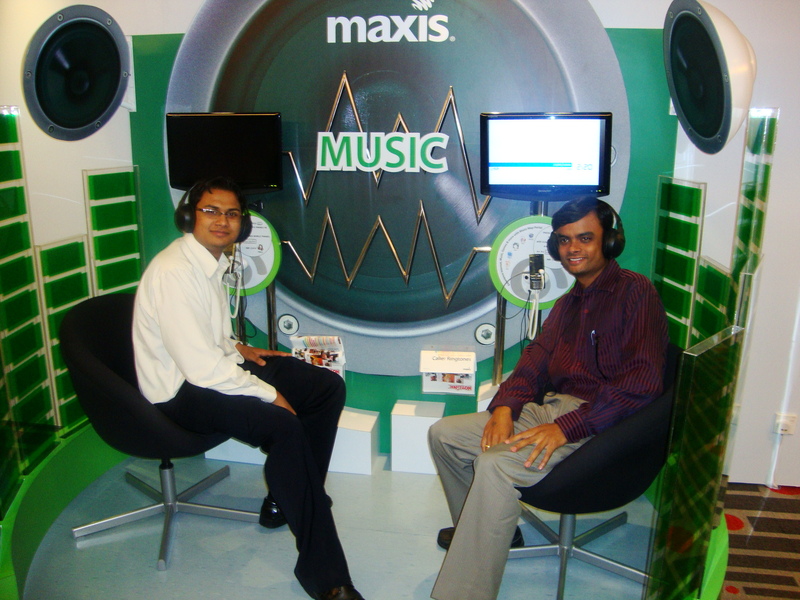 With a total worldwide subscriber base of 10.5mn, Maxis has a presence in high growth, low-penetration markets like India, Indonesia & Sri Lanka. 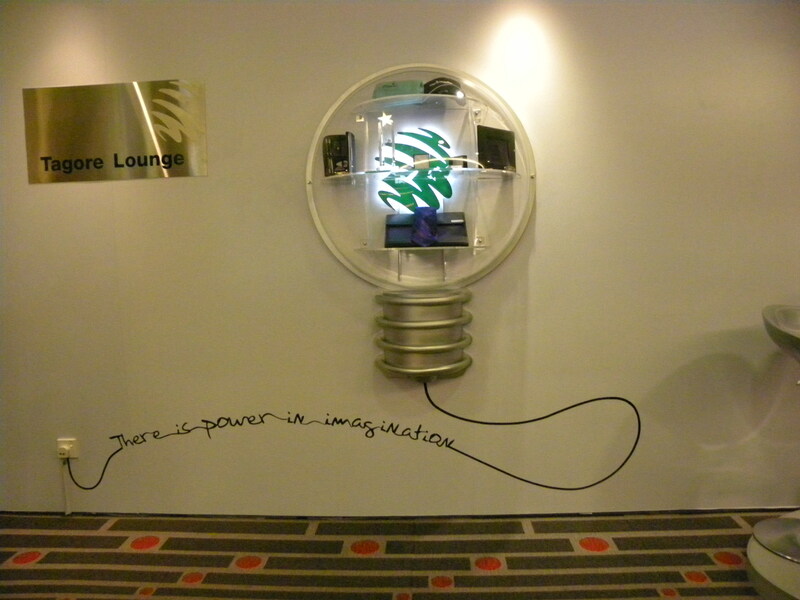 Maxis follow a dual branding strategy with Hotlink as a separate brand for prepaid consumers. This is due to the reasons that Maxis is a traditional brand and prepaid is mostly used by youth, thus a new youthful brand with bright red color and young name. The Safari Group was first given a corporate presentation where we were given an overview about the journey of Maxis till 2009. 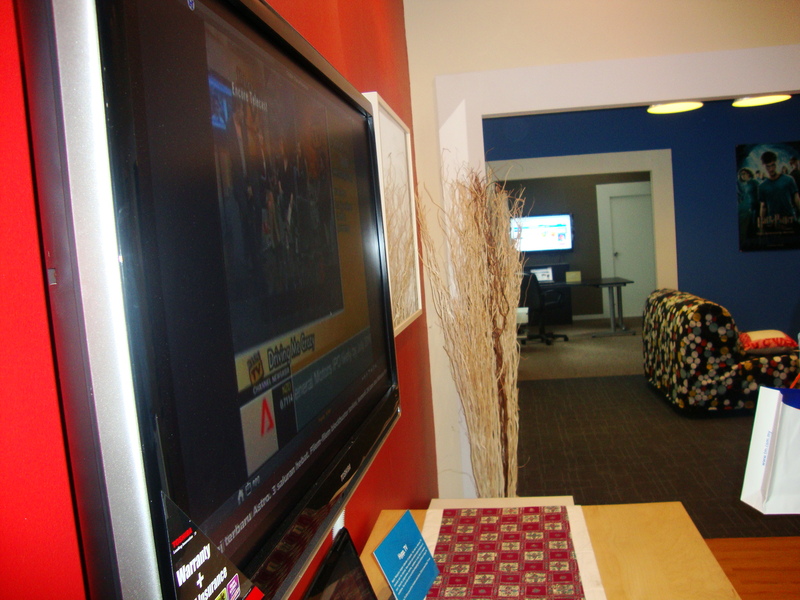 This was followed by an introduction to their product portfolio. The interesting thing was to know that how much internet savvy people are becoming all thanks to e-ticketing concept brought by Low cost airline Air Asia. Ironically, the speaker said that people don’t want to pay for the internet. The data card and internet usage expenses in Malaysia are very low compared to that in India. Interestingly, they are already using 3G technologies and moving towards 3.5G & 4G. India seems to lag quite a lot in this front with issues related to spectrum allocation for 3G services still going on. In all sense, the talk and visit was purposeful and helped us gained a valuable perspective on Malaysian Telecom Sector. 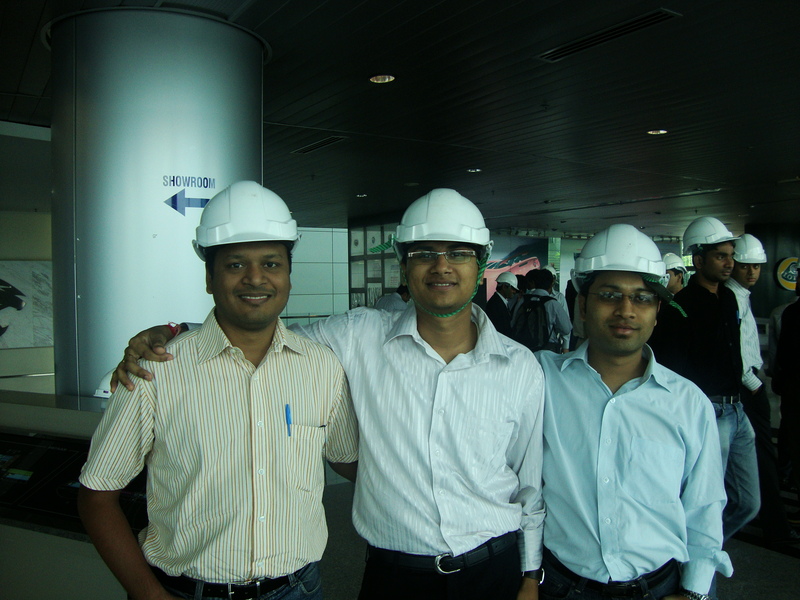 From there we moved on to the next destination ABB Malaysia. 15th December, what felt like a lazy afternoon after the sumptuous meal, was the time for a visit to Simedarby HealthCare. Healthcare Industry has always been a crucial industry and of national importance given its criticality to the health of people of the country. Simedarby is one such organization which strives at providing healthcare services to national and international clients. Medical tourism has been one of the important areas for Sime Darby. It treated about 1,200 European, 600 US and Australian, and 3,600 Japanese patients in 2008 alone. All the staff seemed to be well versed in English. The hospital provides special services such as assistance in travel arrangements and Airport pick up/drop off to International patients. Our visit started with a corporate presentation by Simedarby Corporate Communications Manager. It was an insight into the operations of the Healthcare Center and also on the current standing of Healthcare Services Industry in Malaysia. 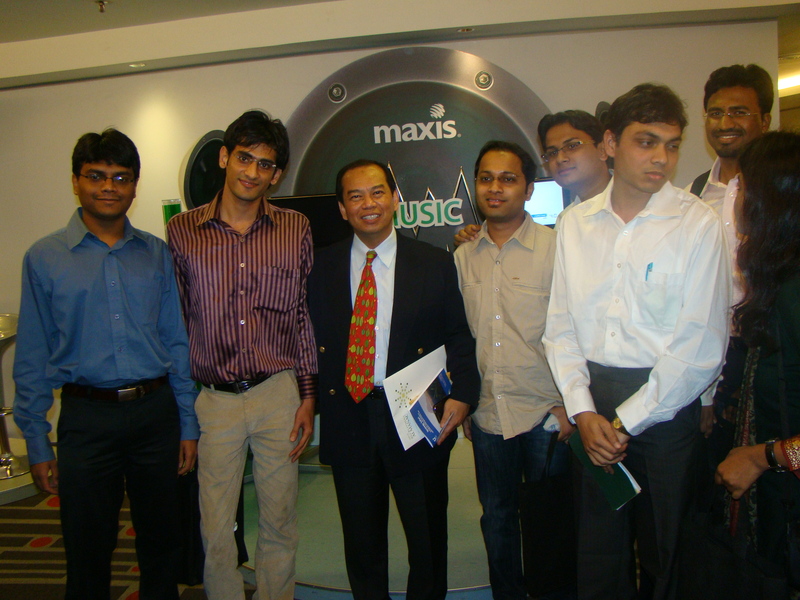 We students were quite curious to know about development of Malaysia as a Medical Tourism Center and the common conclusion was that Malaysia is emerging as a possible Medical Services preferred country next to India and is gearing up to provide the latest up to date technology in Medical Sector at cheap prices. After the discussion we were taken on a round of the hospital where we visited some medical specialist. They tried their best explaining us the details of the departments but mostly the medical terms went over the head. None the less the visit was interesting as we got to see the Royal Suite reserved for the Royal Family and other dignitaries. 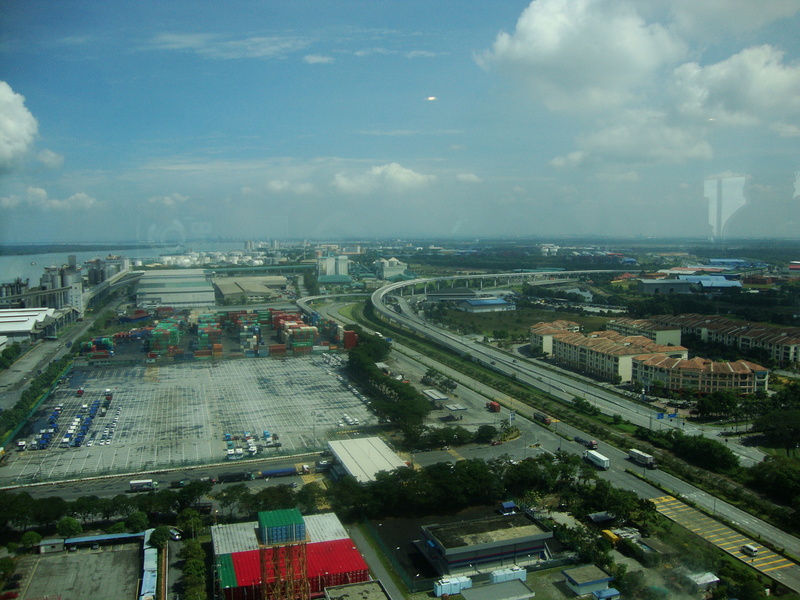 15th December 2009, it’s a beautiful morning in Kuala Lumpur and none of us wants to get out of bed. But our instructions are to get ready and at the bus by 8:30 AM. 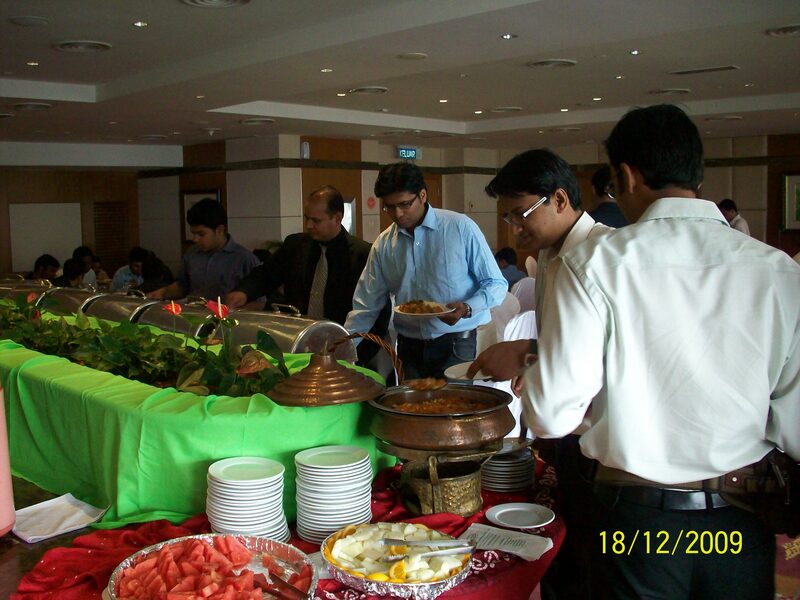 All of us get ready and go to the Coffee House of Hotel Sentral where we are served the complimentary breakfast. The non-vegetarians have no issues but vegetarians like me are again searching for compatible food. Luckily they had a veg counter, along with toasts and juices. We stuffed our stomach and left for the next destination Westport. Located strategically along the Straits of Malacca, Westports today has positioned itself as the pit stop for container vessels plying one of the world’s busiest shipping lanes. Westports is not only a leading port in South East Asia, but also one of the top 5 Ports in the world in terms of productivity. 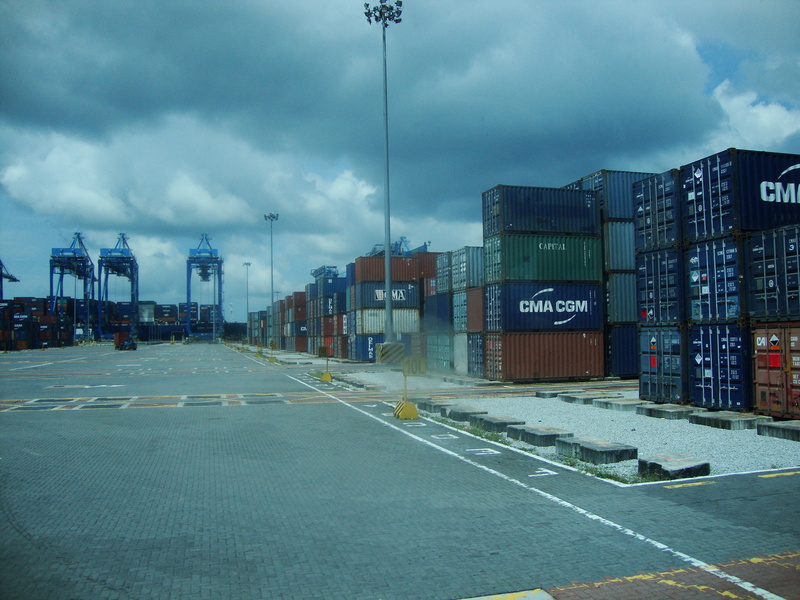 Westports is now a mega hub for both local and transshipment containers. With current total quay length measuring 3.2 kilometers, which includes 5 container terminals, and a potential to build another 4 container terminal, Westports has a capacity of 15 million TEUs. On arrival, we were taken straight for a PPT presentation. We thought it might be one of those boring lecture series but we soon found out it was not true. The presenter gave us a beautiful picture of the benefits of ports and how it has contributed to success of Malaysia and their economy. This was followed by a stark comparison with Indian Ports and we really could see the inefficiencies and the huge potential India has for developing and gaining from ports. From the discussion, the problems highlighted were government interference, lack of will, current development by private companies only for their needs & lack of co-ordination and integration among the small ports. The presenter highlighted that India has a huge potential and could only benefit if it works towards developing deep water ports of depth more than 15m. We all did agree and some of us got really enthusiastic about the ideas generated there. After the presentation we were again worried about the veg food, but our host was superb to arrange sambhar-dhal, which was a delight given the lack of veg food everywhere. We thanked our host for the great food and thought the trip was over. But there were more plans. 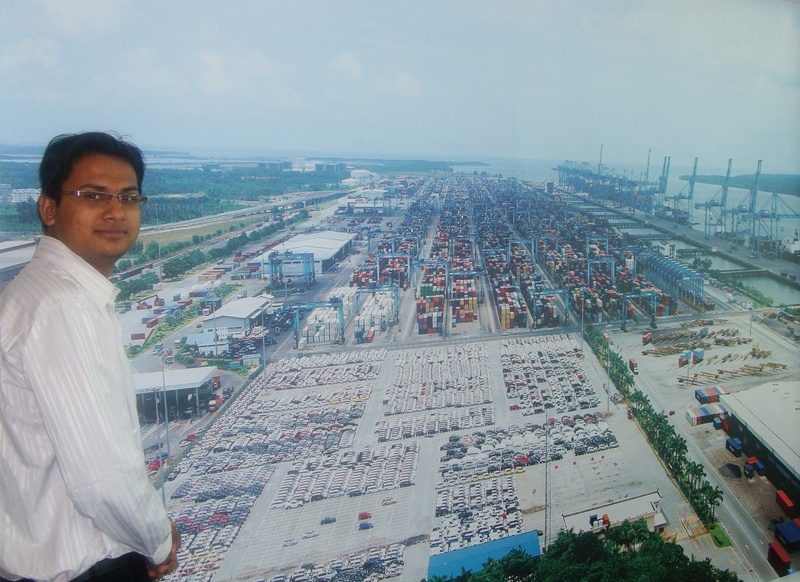 We were taken on a quick tour of the port where we could see the huge ships, the yard where the containers were kept. All this were in co-relation with the operational details we were explained in the presentation. Finally it was time to bid goodbye. We gave a vote of thanks to Westport and left with the amazing experience to our next destination Simedarby Medical Centre. I planned to visit Singapore before visiting Malaysia. Lot of friends of mine are doing PhD from NTU, so visiting them and experiencing Singapore was the combined purpose. As it happened, we sought for the cheapest tickets and ended up taking the route of Indore->Delhi->Kolkata->Malaysia->Singapore. A long trip which included long duration stops at Delhi, Kolkata & Malaysia. Unfortunately, there was no access to the departure terminal 2 hours before the flight and so I and my friend ended up spending the chilling night at the ticket counter zone. Kolkata was worth the wait as I got to meet friends whom I had not met for 2 years. Malaysian Airport again got us waiting in the departure terminal with us hunting for Vegetarian Food for 2 hours before ending up on a burger. The good things started when we finally reached Singapore and to my friend’s place. We rested for a while and immediately set out for Sentosa Islands. Sentosa Island was simply superb. The good & bad thing about it was that it was huge!! We started from having a couple of rides, and then went along the beach to enjoy the waters. A quick round of food (veg food again very tough to find) and then we went about doing treasure hunt for Underwater World Experience and the Dolphin Show. Underwater World was amazingly beautiful. The entire aquatic life was floating all around you – 360 degree. We again started walking for finding the “Bikini Bar” (obviously we were excited by the name, but were disappointed by seeing it). We left that place, had a couple of soft drinks at another place. It was 7:00 PM and we had almost covered the Island, so we decided to return. That was a fruitful first day. 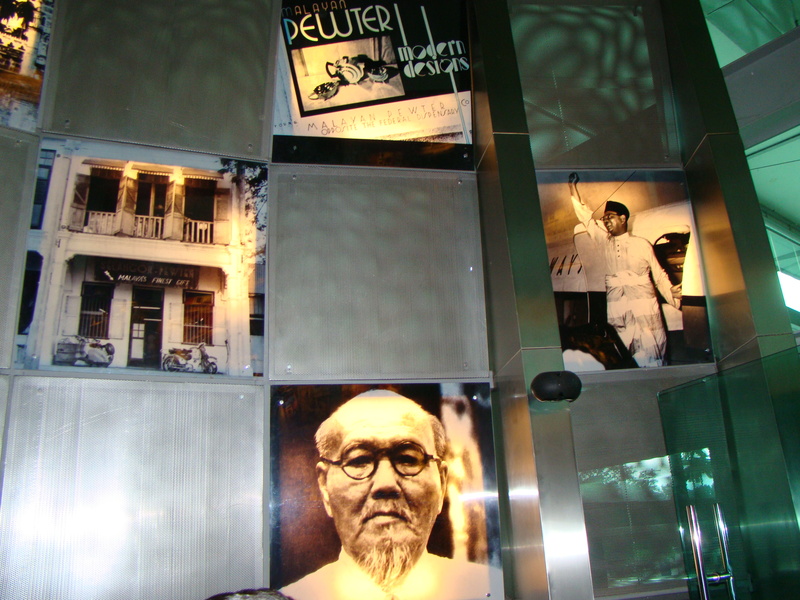 The next day we planned to see Singapore city and took the metro rail to go to China Town. My Singapore friend accompanied us which made it a lot easier to move around in the city. China town was buzzing with activity with lots of local people and many Chinese and other local shops. We roamed around a bit, bought a memento and headed to another place called Little India for lunch. Little India is the Indian community area there with the Mustafa Market in the center. The place has a total Indian feeling and we just loved to have Indian Thali (being pure vegetarians). The next destination was Raffles Street where we visited the Merlion Statue which was magnificent. Finally, with little time left on our hand, we headed for Night Safari. The travel time to place of Night Safari took longer than we expected which restricted us to take only the 45mins tour by the train there. Frankly, Night Safari was not worth the SGD32 paid for it. The animals were which you could see (more clearly) in any zoo, and they took great pride in showing us Indian Buffalo (Still figuring, what’s so great to see in a buffalo). Well, the Night Safari ended and we rushed back to my friends place to collect our luggage to begin the chase for bus stop to catch our bus to Kuala Lumpur. As if we thought that Singapore adventure is over, there was still some left. Don’t know why, but we were questioned at the Malaysian immigration before being given access. Later on we came to know from one of the fellow passengers that if any of our papers would have been wrong we could still have got off after paying bribe ! .. Wonder when the security system of any country would be perfect! That’s the Singapore experience. An amazing one for sure! The country is damn beautiful, maybe too perfect. There are hell lots of rules, which people do follow and I think that is what keeps it super perfect. Some call it the country of fines, the minimum fine amount I saw was SGD500..Phew!! The people are nice, beautiful and cute. Definite recommendation for a one time visit!